As more states legalize marijuana for medical and recreational purposes, there’s been a dramatic shift in American’s perception surrounding its use. 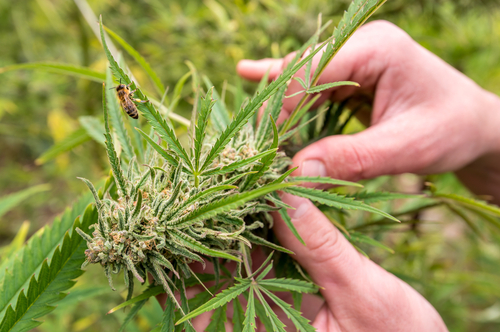 In fact, marijuana has reached a tipping point and could be considered mainstream, suggests data from an unprecedented project undertaken by Yahoo News and The Marist Poll. The recent “Weed & the American Family” takes a look at Americans’ attitudes towards marijuana use. The most exciting finding? Eighty-three percent of respondents say pot should be legal nationally for medical treatment and the majority of respondents feel that marijuana is safer than doctor-prescribed opioids. We’d call that progress. But there’s more. In 2016, for example, the Pew Research Center conducted a similar poll and found 57% of U.S. adults believed marijuana should be made legal. (There was no discernment between medical or recreational use in that survey). A decade ago, only 32% of Americans favored legalization. Here are some fast facts, courtesy of Yahoo/Maris poll, on marijuana’s mainstream journey. 1. The majority of Americans have tried marijuana. In all, 52% of Americans above 18 have tried marijuana at some point. Of those, 44% still use it. Among Americans who have given marijuana a try, two thirds are parents. 2. About a quarter of Americans use marijuana. Turns out 22% of American adults use marijuana, and 63% of this subset uses it regularly. Translated, that’s nearly 55 million people in this country who currently use marijuana. Of those, 35 million consume it monthly and 20 million use it yearly. Another 78 million have tried marijuana, but aren’t currently using it. Of marijuana users, 55 percent are male and 45 percent are female. A majority of cannabis users — 52 percent — are millenials. 3. Medically united, but recreationally divided. Overall, 83%of Americans support legalization of medical marijuana. Not surprisingly, 94 percent of people who’ve tried it, support legalization for medicinal purposes. When it comes to recreational use, though, we’re a country divided. Forty-nine percent of Americans believe it should be legal opposed to 47% who oppose legalization. 4. Marijuana is a safer substance. Survey respondents find marijuana to be a safe substance. More than three quarters of those surveyed consider it less risky than tobacco, 70% consider it less risky than alcohol and 67% consider it safer than doctor-prescribed opiates. 5. Families are smoking together. Nearly half of parents who use marijuana say they have consumed it in front of their adult children, shared it with them or done both. Also, more than a quarter of marijuana users say they’ve consumed marijuana in front of their own parents. Will future generations consider it silly that marijuana was ever opposed? Will they look back at this through the same lens that we do alcohol prohibition in the 1920’s?